If the Moto 360 price drops from two days ago aren't sweet enough for you, it looks like Best Buy is offering an in-store deal that could be even better if executed correctly. 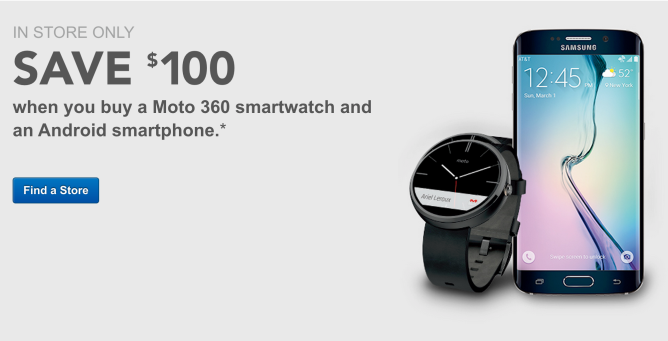 If you've been on the fence about getting a Moto 360, this seems like a pretty good deal. As mentioned before though, the deal only lasts until April 18th.